It’s a favorite plant of mine, I have always liked this ribbon striped grass like plant since I was a child. It is easy to care for and very hard to kill to be honest. It can be grown in indirect light. It can be set on a shelf or hung in a basket. Now I have to admit that the smaller younger plants look great in their smaller pots and will add a great texture and color to lots of spots to pick from in your house. The big plants to me look better in a big old hanging pot so that you can see the flowers and the baby spiders it will make to the best advantage. The plants are fast growing so you will need to re-pot them up until you get them to the big size you want and then you will need to do select trimming to keep them at that size. I was very pleased to re-pot these two up today. They have doubled in size since I got them and I can’t wait till they send out their tiny white flowers an decide that they might like to produce a few babies. If you let it go to long, you can get little brown tips on the ends of the leaves, don’t worry just tip them off and they will keep on trucking. They are a hardy plant for sure. 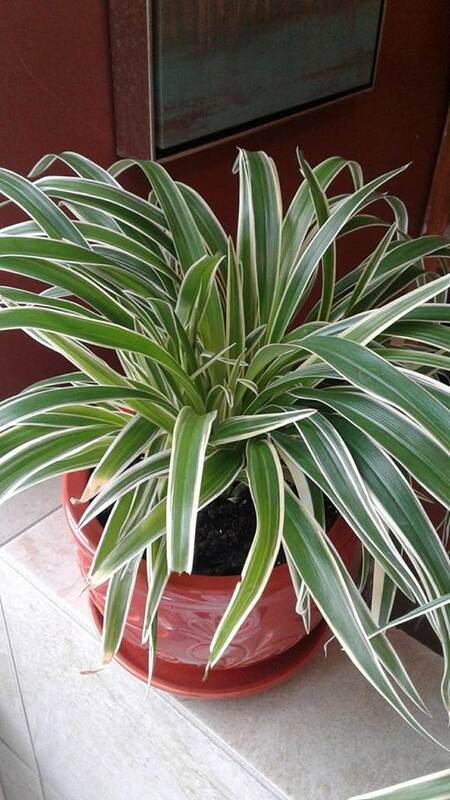 Do you have a spider plant? I bet your grandmother did! What is your oldest plant? 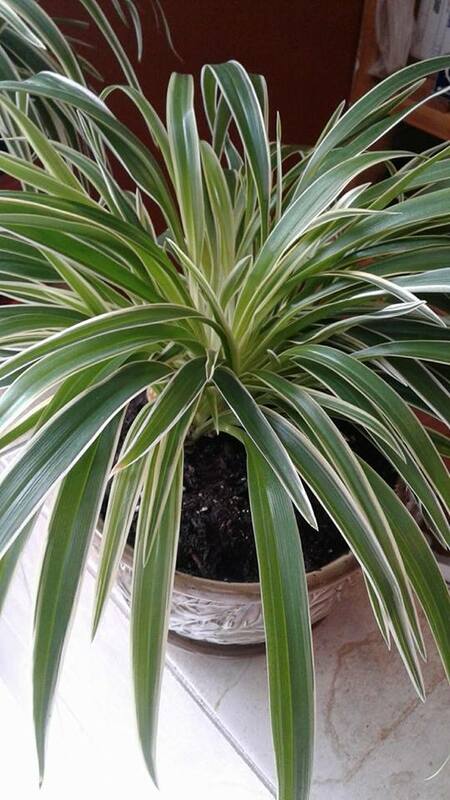 Do you or have you gifts baby spider plants to family and friends? Its a great starter plant for kids rooms. 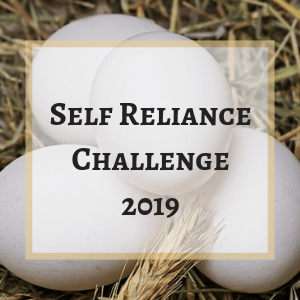 This entry was posted in frugal, Garden and tagged Growing a Spider plant, Re-potting a fast growing spider plant, Spider Plants. Bookmark the permalink. hi Becky, lol they are hardy for sure and they are a good starter plant for little ones. Haven’t had one for years. Yours is/are gorgeous! Yup, under watering is the most likely cause but overwatering can be a issue as well.. I find even at the best of times, I still get a bit of brown tipping now and again.. I just use my thumb nail and tip it off blunt like. when I switch out the water in the fish tank (which I do pretty regular to replace with fresh water as he did not have a pump in his bowl) I use the fish water for watering house plants, same as I use my leftover cold tea..
How you liking this snow and coming cold weather? I shoveled the deck and steps already and its still snowing.. I am not happy with this cold they say is coming.. more hay for the critters to keep them warm..
NOT liking. Been snowing here since before daybreak. Not as hard and heavy as the last time; but still much too soon after:/. Still have the remains of unmelted-then-refrozen slush piles in the drive. So, what’s your prediction with the rest of winter with it seeming to start a full month early? Its snowed here the last eight days and they say it will keep right on snowing for days to come..
As for the winter, same as I thought going into winter, its going to be brutal, snow, winds, storms and deep cold.. with freezing rain/late cool spring. I have NEVER put so much work into prepping the house/barn/critters bedding and so forth. We are running tests on systems to cover for when we have power outages, we are putting the truck in for checkup because I expect that the 4b4 will be used a lot this winter. hmm, strange, mine all cleared off, we had cold nights and then crazy winds, in one week I saw at least a 80 percent reduction of folage.. just gone. sorry to hear that it was not the same in your area. ps, ya, I was fighting with a bit of frozen bumps that did not want to come up.